Hotpot has always been associated with healthy food, but it’s usually not the most glamorous concept for luxury dining. Well, that’s where Four Seasons comes into the picture. Under the Vikings’ list of restaurants, Four Seasons seamlessly blends the discerningly healthy food options that hotpot entails and combines it with an ambiance that’s chic, modern, and comfortable. What you get is a buffet hotspot restaurant that’s fresh, healthy, and yes, elegant. How’s that for a dining experience? At Four Seasons, expect to be treated to the choicest ingredients and handpicked sauces, allowing you to easily customize your dishes. The way it should be, of course. 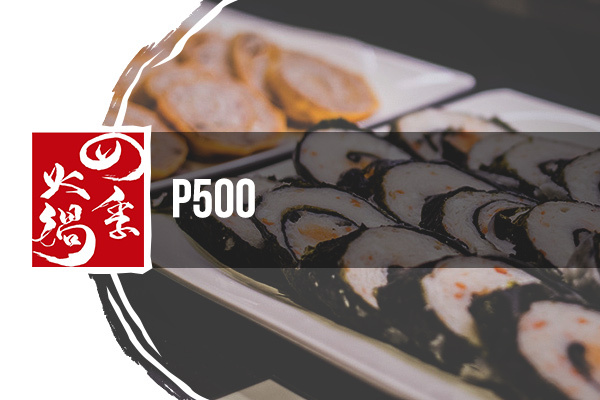 Choose from meat, seafood, vegetables, appetizers, desserts, Japanese, and bar. In their Manhattan Parkview branch, expect the menu to be a combination of both Vikings and Four Seasons. They have a branch in SM Mall of Asia and in Araneta Center. A new branch in SM Sta. Mesa will open soon. At the MOA branch, a teppanyaki station was recently added. Four Seasons Buffet eGift is NOT VALID for use in NIU, Tong Yang Plus, Vikings and The Alley.